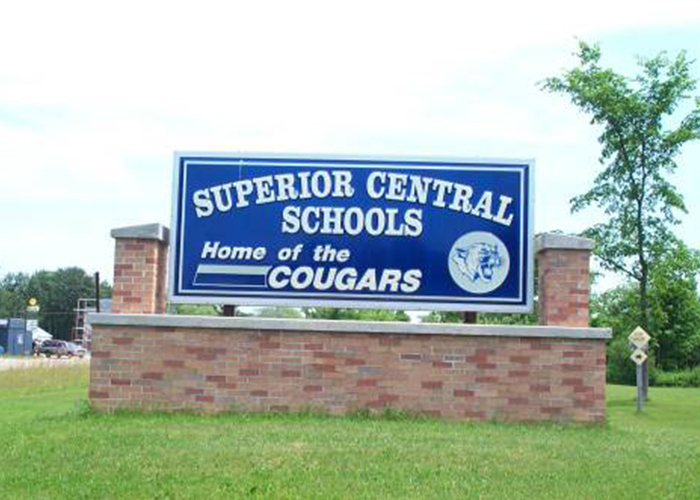 Located in the small town of Eben Junction in the Upper Peninsula of Michigan, the Superior Central School District is a K-12 public school supporting approximately 400 students. The school district’s mission is to provide excellence in teaching and learning, while fostering positive growth in social-emotional behaviors and attitudes. Superior Central directs its students towards global perspectives, environmental stewardship, and is committed to teaching them the technological skills they need to live and work successfully in a rapidly changing world. Michael Thompson has been the Technology Director at Superior Central School since 2010 and fully understands the technological barriers students face. “The majority of our students come from rural communities and for many of them, the only interactions with technology are at school,” Thompson observed. For these students who often hail from farming families, the reasons for the lack of digital access at home are partially economic. “The students also face a general lack of cultural and social acceptance about the benefits of technology,” Thompson added. Providing technology access and infrastructure that keeps students fully engaged is therefore a critical goal for Superior Central. The district wants the students to have a comfortable relationship with technology recognizing their reliance on the school for digital exposure and learning. For Thompson however, providing access was not enough. Fast, high performance equipment was also critical to meeting the district’s needs, for example in the school’s popular but resource intensive computing labs. “The last thing we wanted was equipment that was slow, resulting in annoyance and frustration for our students,” he noted. Furthermore, creating a technology infrastructure for the school district required equipment, support and service that allowed Thompson and his team to work quickly and efficiently. Specifically, they needed uniform platforms for the entire district and interchangeable equipment that was easy to deploy and support. Thompson was introduced to CDI’s products and services at an education technology conference. Exceptional warranties, impressive service and support offerings, and a competitive pricing structure made CDI stand out above other vendors. Thompson’s requirements were very specific and included many customizations, all of which CDI was able to accommodate. While Superior Central did not have any major budgetary constraints, purchasing brand new computers with the same specifications, service agreements and warranties would have cost significantly more. In addition, the district purchased other technology products from CDI including a charging cabinet for mobile devices, a server and classroom accessories. Post-sales support and service has also been impeccable. When a firmware issue occurred on some of the hard drives purchased for school’s computer labs, Jesse Fiore, the account manager for Superior Central, was able to fast-track a solution and get replacement drives to the school, minimizing disruption to lab operations. “We have five computer labs at the school district that I now have full confidence in because I know CDI has my back,” says Thompson.